Prominent is in a class of its own. 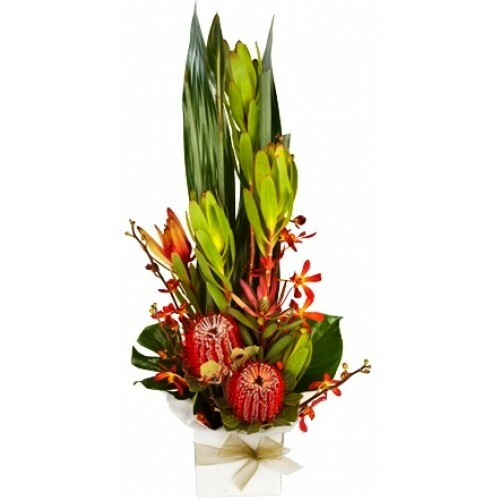 The typical native Australian greenery stands tall and proud, begging to be noticed and admired, beautifully surrounded by flora that is also of native Australian origin. 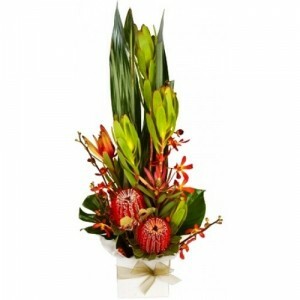 Send Prominent to the loved ones in your life who enjoy an arrangement with Australian nature at its best.